Lorcan O’Herlihy is reimagining the way public and private spaces creatively interact. His newest book, Amplified Urbanism, situates O’Herlihy’s work within the larger urban consequence of Los Angeles, and features essays by critics and journalists who examine the city in the broadest sense via infrastructure, ecology, and civic engagement. The Forum spoke to O’Herlihy, ahead of his In The Gutter event on April 29th at SL11024. Amplified Urbanism is a strategy developed by LOHA, which uses unconventional and unexpected design principals to create transformational environments. Amplified Urbanism seeks to reimagine the creative interaction between public and private spaces, emphasize social and civic connections, and work within existing ecological and infrastructural patterns. Ultimately, this methodology catalyzes positive connections that radiate far beyond a structure’s immediate boundaries and redefines broader communities. Why was it important for you to have your essays written by people who are outside the world of architecture? The goal of this publication is to provoke conversations about how cities may become more dynamic, sustainable and productive environments for all. The book highlights how the tenets of Amplified Urbanism have been successfully implemented by LOHA, and how they may be used by others in all to cultivate vibrant communities. Amplified Urbanism’s seven authors present and analyze interdisciplinary ideas from cultural, civic, and ecological leaders, which provide readers with intriguing insights and compelling points-of-view about diverse dimensions of city life – from radical new forms of public performance art and unorthodox community gatherings to innovative infrastructure strategies related to evolving transportation networks and sensitive urban flood plains. What made you decided to make this book? In 1999, LOHA published a monograph with Oscar Reira Ojeda, and since then we have been invited to create other monographs of our recent work. However, this time around, rather than creating a traditional publication that would simply mirror the content of LOHA’s website, we wanted to develop a book of compelling and intriguing ideas about complex and evolving urban conditions. 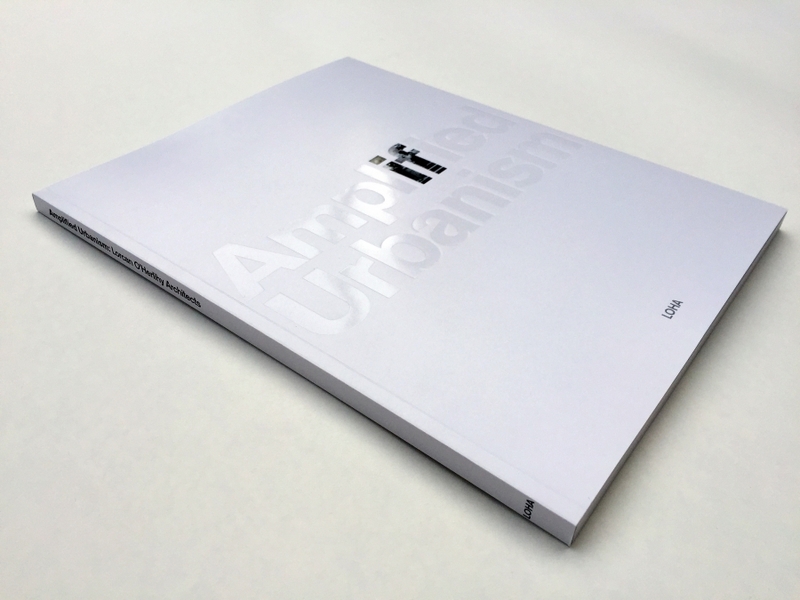 We decided to self-publish Amplified Urbanism, in order to complete the book as quickly as possible and kick-start a broad conversation about the publication’s thought-provoking content.